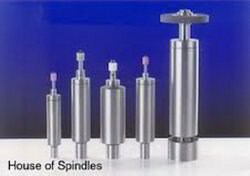 We are counted among substantial manufacturer and supplier of High Speed Spindle. The spindle is manufactured using premium quality material and designed & developed in compliance with the latest technologies. High Speed Spindle is primarily utilized for roughing, grinding and finishing of metals. 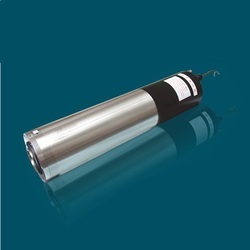 Being one of the renowned organizations in the industry, we are highly engaged in manufacturing a premium quality range of Small Hi Speed Motorized Spindle. Under strict direction of proficient experts, we are providing a broad series of Straight Precision High Speed Spindles that is available in diverse structures that meet on patrons demand.